The ReLUIS consortium is the network of the Earthquake Engineering University Labs (Rete dei Laboratori Universitari di Ingegneria Sismica) and is a center of competency for the National Department of Civil Protection providing technical and scientific support also during emergencies as happened in the recent April 6 2009 L’Aquila earthquake. ReLUIS enhances synergy among large test infrastructures in Italy ensuring a competitive high quality research offer at international level. Moreover, ReLUIS coordinates earthquake engineering research in Italy carrying out R&D for companies, supporting building codes development, and providing tools and education for practitioners and governmental agencies. 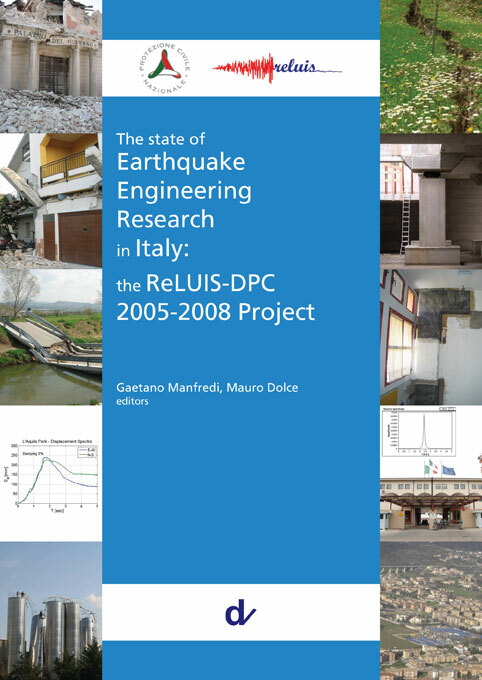 This book presents the main results of the largest research program on earthquake engineering ever held in Italy. The ReLUIS project funded by the Department of the National Civil Protection granted 15.000.000 € and involved more than 600 researchers all over the country between 2005-2008. The ten research tasks range from the seismic risk of existing structures to new design paradigms, include geotechnical earthquake engineering issues and innovative approaches to seismic risk reduction as earthquake early warning systems as well as emergency management. Therefore, the papers herein contained are likely to express the state of the art of earthquake engineering in Italy which as acknowledged by the new Italian seismic code. The emerging research needs after the L’Aquila earthquake are also presented, they are the basis of the next ReLUIS project which is about to start. The successful ReLUIS activity, representing a landmark for earthquake engineering in the world, is mainly due to the continuous relationship with the Civil Protection and its staff.